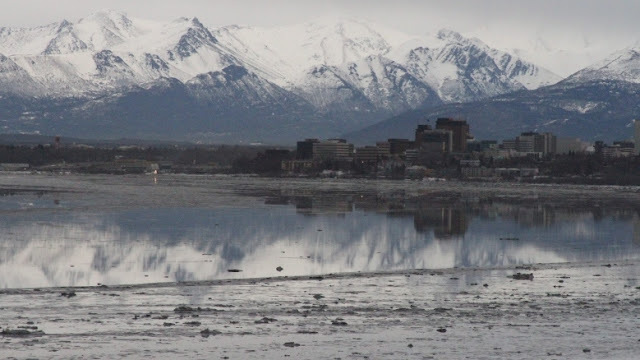 Natural gas for at least 10 days has leaked from an underwater natural gas pipeline in Alaska's Cook Inlet and floating ice has prevented divers from reaching the site. The gas is bubbling from a 20-centimetre pipeline in 24 metres of water about six kilometres off shore. The pipeline belonging to Hilcorp Alaska, LLC, moves processed natural gas from shore to four drilling platforms in the inlet. The Alaska Department of Environmental Conservation is investigating the leak. In an email response to questions, spokeswoman Candice Bressler said the agency is assessing public health and environmental risks. "We believe the risk to public health and safety is small," the agency said. "Environmental risk is less easy to quantify since a monitoring and assessment program is not yet in place." The federal Pipeline and Hazardous Materials Safety Administration is also investigating. The U.S. Coast Guard warned mariners to stay at least 300 metres from the bubbling gas. Another federal agency expressed concern over possible adverse effects on marine mammals. 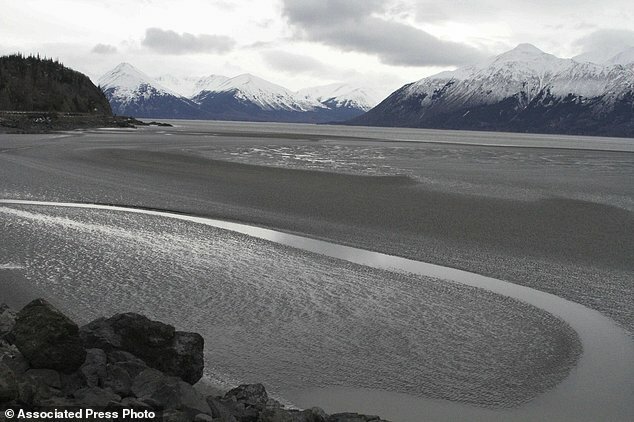 "Our greatest concern is for endangered Cook Inlet beluga whales and impacts to their critical habitat," said Julie Speegle, spokeswoman for the fisheries section of the National Oceanic and Atmospheric Administration, by email. The natural gas discharge is within the winter foraging area for the white whales, she said. Hilcorp spokeswoman Lori Nelson in an email said platform crews have shut down non-essential equipment to reduce natural gas flow to the minimum gas pressure possible without jeopardizing employee safety or the environment. Processed "dry" natural gas is nearly 99 per cent methane. Hilcorp hired a diving company to assess damage when the leak was discovered, the state agency said. Diving was determined to be unsafe because of ice in the inlet. Responses to "Natural gas leaking from pipeline in Alaska's Cook Inlet "
You can bet #45 could care less.